Located in the gated Bass Lake Community just off Hwy 27, this 3 bed block construction single-family home is move-in ready. Currently used as a second home, it has been extremely well maintained and could equally be used as a vacation rental or great primary residence. On the outside, a new roof was installed in 2018, a new front door in 2017 and the driveway has been extended to provide additional off road parking. 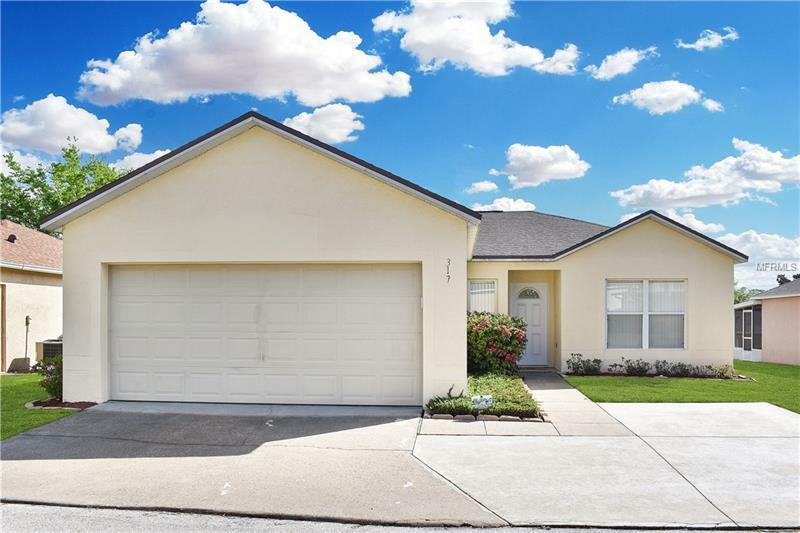 Inside, the open floor plan with a great room fully equipped kitchen and dining area is tiled throughout, keeping it cool and easy to maintain. The split floor plan has bedrooms two and three sharing a house bathroom to the front and right-hand side of the home, and the master bedroom with a good size en-suite is located to the rear. Sliding patio doors lead outside to the tiled, screen Florida Room and a concrete patio area, perfect for grilling and relaxing in the Florida sun. The community benefits from a large clubhouse, heated community pool and spa, storage area, picnic tables and even has its own dock and boat slip, providing private access to the 175 acre Lake Davenport. An absolute âmust seeâ this one is going to go quick! !